The Owen Sound Revolver Club is located on Highway 6 / 10 just South of Story Book Park Road. Fox Harley Davidson dealership is at the intersection of 6 / 10 & Story Book Park Road. 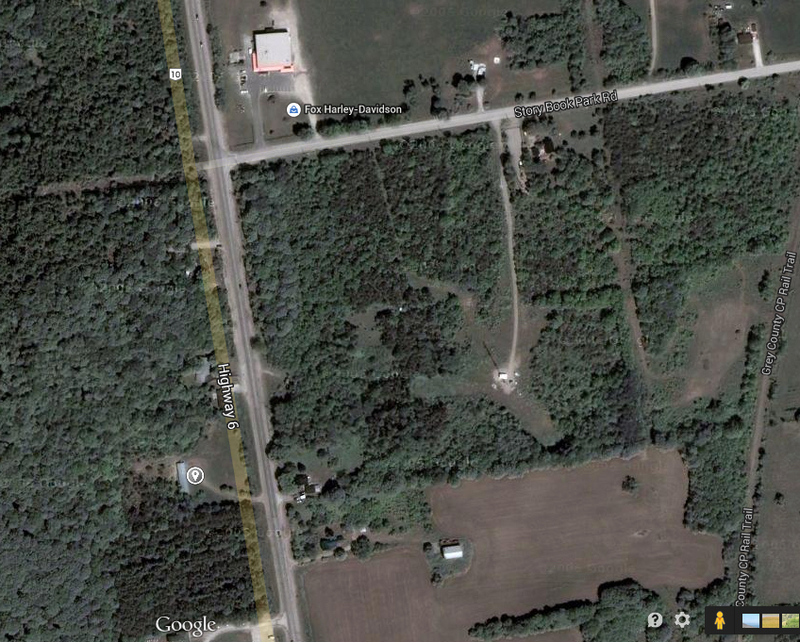 Our club is located on the West side of the highway, set back a bit behind the trees. Top of image is North. OSRC is located at about 8:00. Please note that Google Maps and some GPS units will not take you to the correct address if you enter this address. We are working to have the map data corrected. For inquiries please fill out the following form.